Uncirculated Set of Current Issue Notes Direct from the Treasury Vaults Serial Numbers will be different. 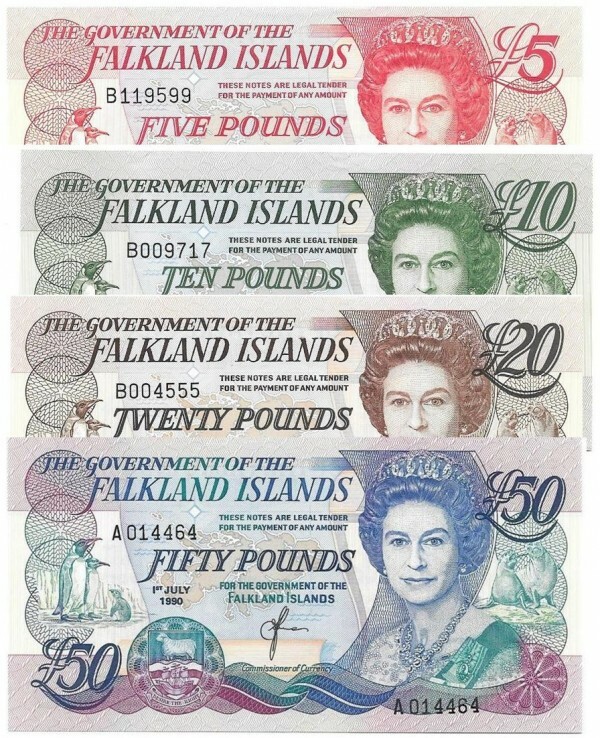 Full Set of coins in current use direct from Treasury Vaults. 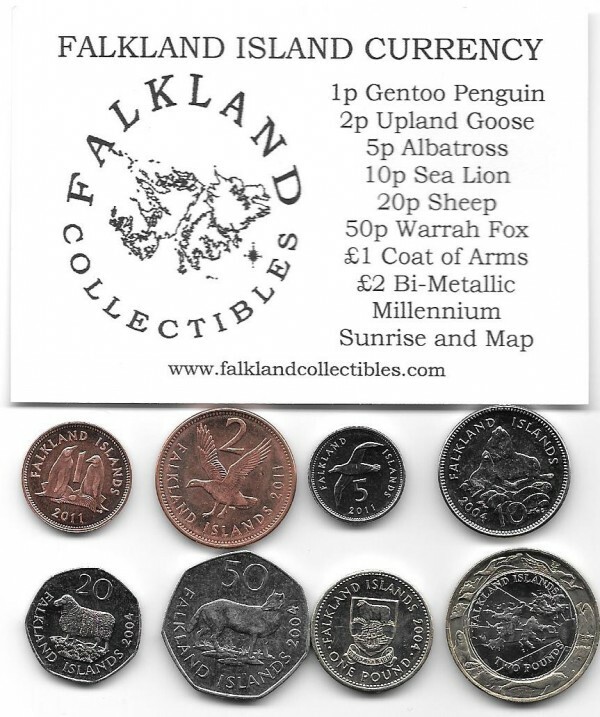 1p Gentoo Penguin, 2p Upland Goose, 5p Albatross, 10p Sea Lion, 20p Romney Marsh sheep, 50p Warrah, One Pound Falklands Crest, Two Pound bi-metallic millennium coin. 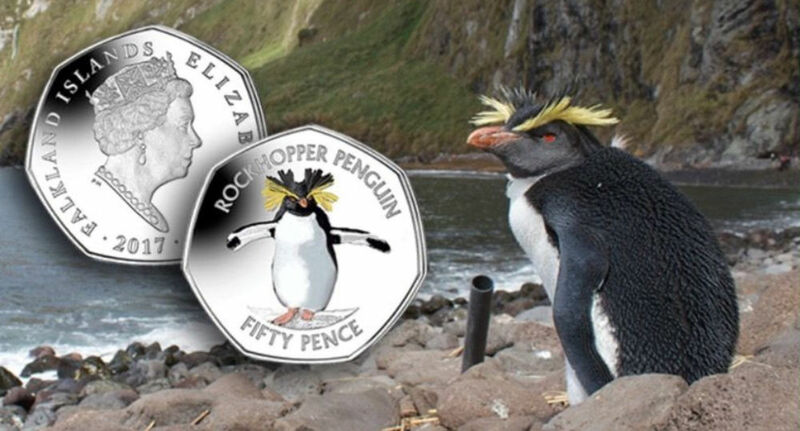 Northern Rockhopper Penguin minted in error.